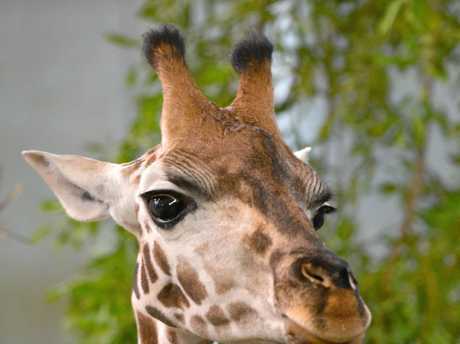 AUSTRALIA Zoo has unveiled its newest addition to its African family. 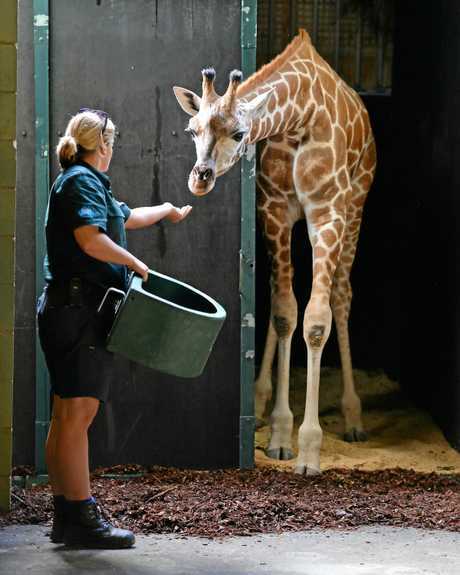 Kebibi, a one and a half-year-old juvenile giraffe, arrived from National Zoo and Aquarium Canberra on Friday morning to her new and excited keepers at the Beerwah Zoo. Since her arrival on Friday, Kebibi has settled in well, getting to know her keepers and fellow giraffe in her new herd. Keepers reported Kebibi travelled comfortably during the 1,285km road trip that took approximately 24 hours to complete. In the six weeks before her journey, Kebibi was slowly getting used to the trailer. Each morning her keepers spent time familiarising her with the enclosure, rewarding her with some of her favourite treats. Australia Zoo owner director Terri Irwin said the crew was really excited to welcome their newest girl to the African family. 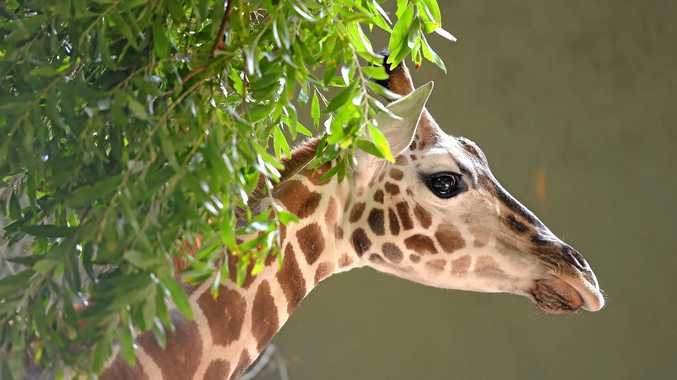 "Kebibi has been highly anticipated by her keepers over the last few weeks and now she's taking her time to get to know her surroundings before heading into the African Savannah to be with the other giraffe in the herd," she said. "Because Kebibi is young, the sweetest bond occurred in our behind the scenes area for our giraffe. Kebibi and Rosie (one of our mature female giraffe) hit it off immediately. "As Kebibi decided to lay down for a rest, Rosie stood over her like a protective mother." Kebibi was born in July 2016 and currently weighs around 400kg. 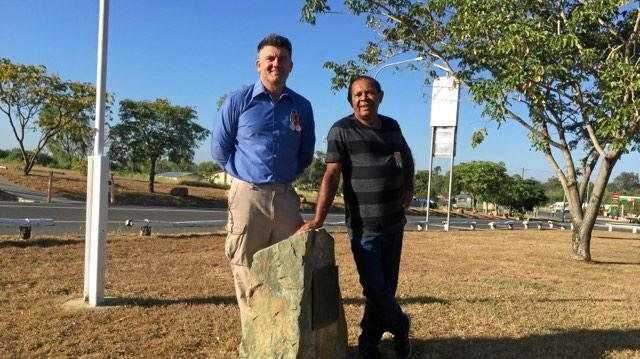 A specially made, extra tall float was used to transport her between the Australian Capital Territory and Australia Zoo on the Sunshine Coast. In the coming weeks, visitors to Australia Zoo may catch a glimpse of Kebibi getting to know her new home. For giraffe encounters or more on Australia Zoo, visit australiazoo.com.au.